This group is impressed to 1656 Private F.H.Jackson of the Honourable Artillery Company. 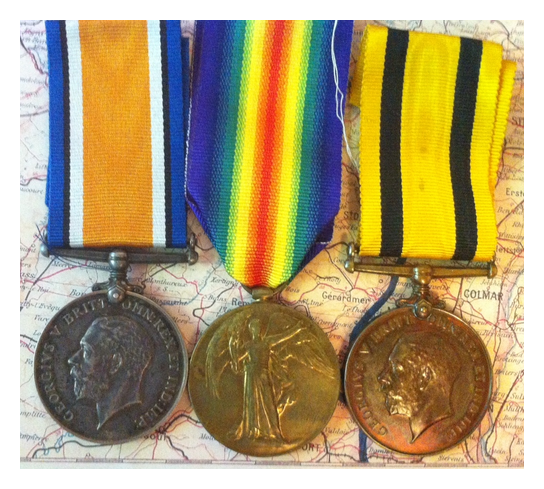 The group consists of the 1914 Star with the 5th August-22nd November 1914 Bar, the British War Medal, the WW1 Victory Medal and the Faithful Service in the Special Constabulary Medal (GV), this one engraved to Sergeant Frederick H. Jackson. The Bar on the 1914 star is the slip on type congruent with the Star but cannot be considered official as the official bars were only made one way. 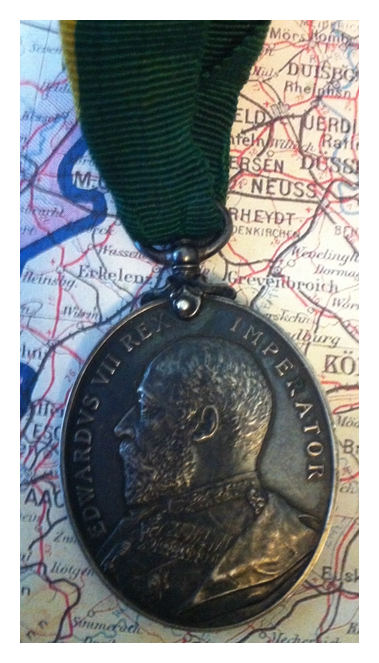 But I believe it to be original to the medal. Frederick Harold Jackson, from Buckinghamshire, enlisted voluntarily in the Territorial Army in August 1914 and by September 18th 1914 he was in France. The H.A.C. is a very prestigious unit of the British Territorial Army and is the second oldest military unit in the world still extant after the Swiss Vatican Guard. It is the oldest regiment in the British Army. Jackson received a gunshot wound to his right shoulder and cheek on the 22nd August 1915. 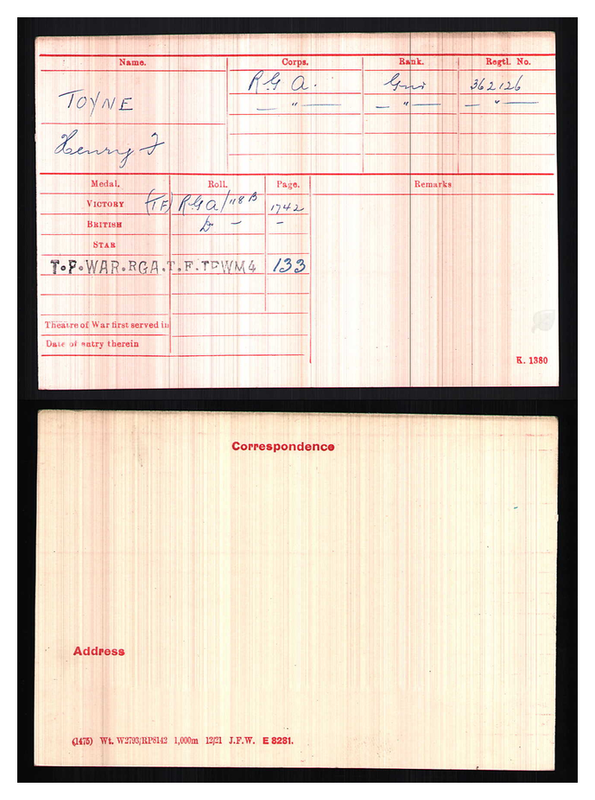 He was assessed at 50% disablement and blind in his right eye and released from service on the 18th February 1916. 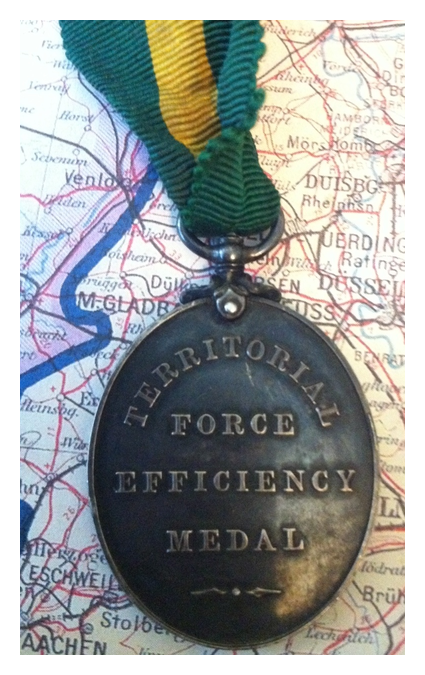 This group is made rare by the Territorial War Medal but still interesting. 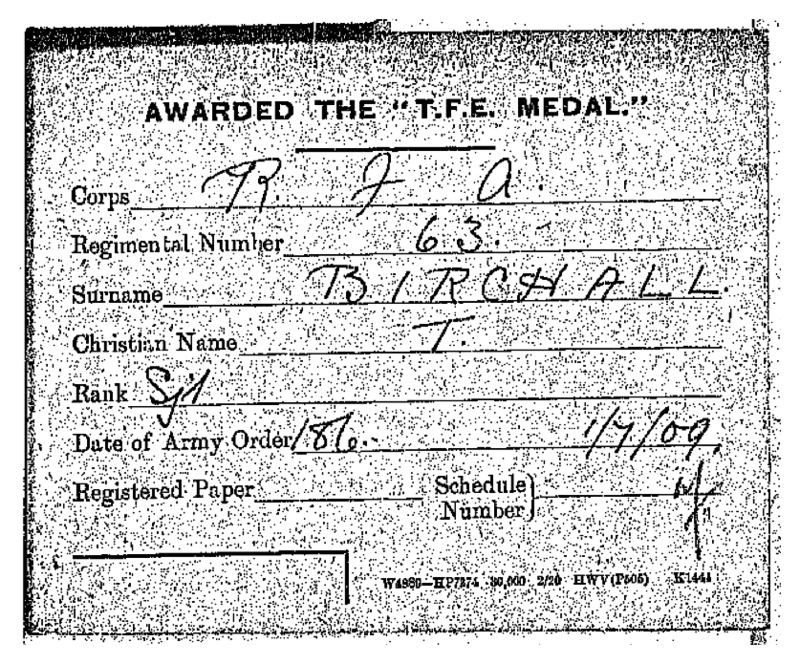 It’s marked to 362126 GNR H.F.Toyne R.A. Any soldier awarded the Territorial Medal was not entitled to one of the stars. 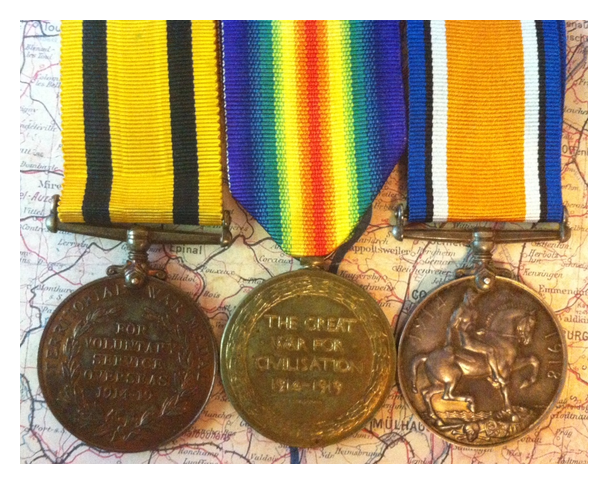 Henry Toyne served in the Royal Garrison Artillery. Mine is named to 362126 GNR H.F.Toyne R.A.